Lacto-Fermentation: How Does It Work? Lacto-fermentation is the process that produces traditional dill pickles, kimchi, and real sauerkraut, among other fermented delights. This simple fermentation process requires nothing more than salt, vegetables, and water—no canning, no fancy equipment. The lacto-fermentation process works because of the lucky fact that bacteria that could be harmful to us can't tolerate much salt, while healthy bacteria (think yogurt) can. I think of them as the bad guys vs. the good guys. Lacto-fermentation wipes out the bad guys in its first stage, then lets the good guys get to work during stage two. The good guys on the salt-tolerant team are called Lactobacillus. Several different species within this genus are used to produce fermented foods. Lactobacillus bacteria convert sugars naturally present in fruit or vegetables into lactic acid. Lactic acid is a natural preservative that helps fight bad bacteria and preserves not only the flavor and texture of food but also its nutrients. The benefits of eating food with live Lactobacillus bacteria include a healthier digestive system and speedy recovery from yeast infections. They are also believed to have anti-inflammatory properties that may be useful in preventing certain kinds of cancer. In stage two of lacto-fermentation, the Lactobacillus organisms begin converting lactose and other sugars present in the food into lactic acid. This creates an acidic environment that safely preserves the vegetables - and gives lacto-fermented foods their distinctive tangy flavor. 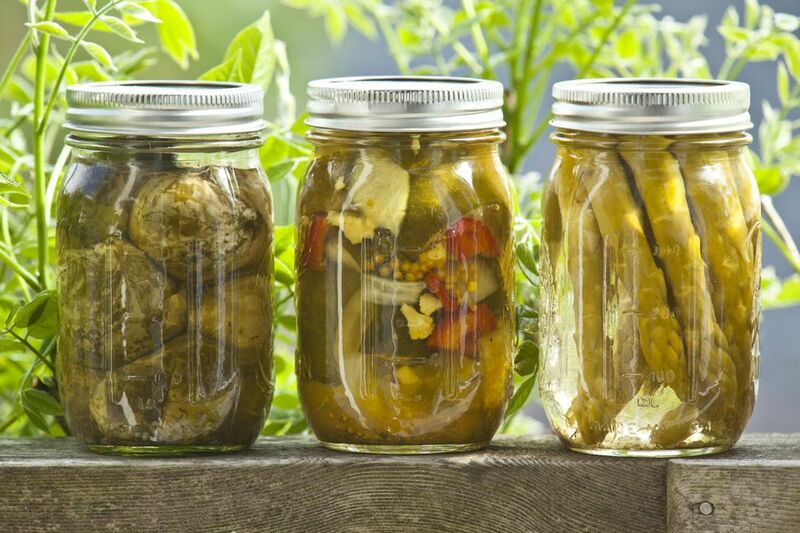 While lacto-fermentation is a common and traditional form of pickling and preserving vegetables, it is not the same thing as canning and is not used for long-term preservation. Many fermented foods are edible for two months or more, and their flavors develop and become more acidic over time. Typically, you begin eating a fermented food once is has reached the desired level of fermentation and you finish it before the end of its "shelf life," during which time the flavors will mature and change. By contrast, canning involves some form of sterilization and is intended to preserve food in its canned state for long periods, often for 6 months to a year or more.